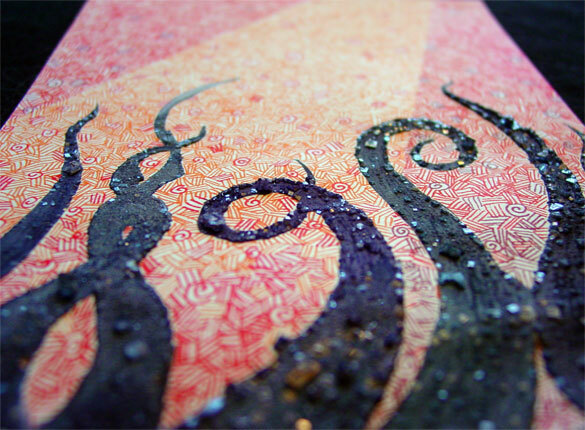 Days of work went into today’s piece, but I think they’re my favorite tentacles yet. 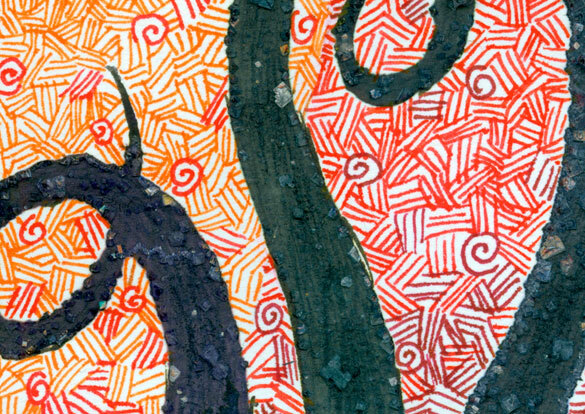 I used the same technique of softening pen-and-ink with water as in Tentacle Deeps 14, but then I went through and grew salt crystals along the body of each tentacle. The cross-hatching used three different pens to create the sense of light and depth, and my friend Eric L suggested that it looks like the tentacles are starting to dissolve where the light is hitting them. 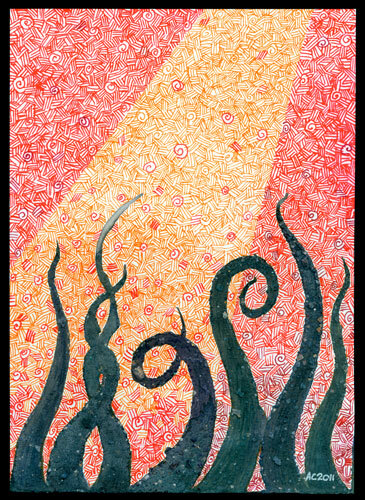 Tentacle Deeps 15, 5″x7″ mixed media on paper. Here you can see a closer view of the texture and the way I created the effect of light fading to darkness. 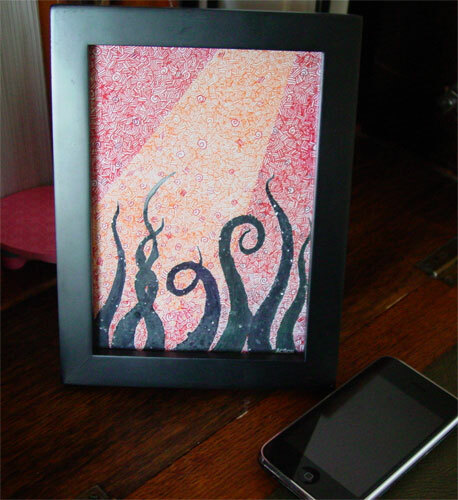 I love how this shows off the variation in the tentacle colors, and the way the salt crystals sparkle even with the dark ink suffusing them. I finally had the brilliant idea of putting something in the framed shots so you’d get a sense of scale, so enjoy this shot of the tentacles in their frame, hanging out with my iPhone. i love the little details in here – the closeups are so very cool. The hatching and spirals are pretty. Thanks! I’ve been experimenting with different textures on the crosshatching, I’m working on a piece now with white ink over dark paint for contrast instead of vice versa.